Its HUGE and the tail has to have string threaded through it for it to bend when moving also the tail is connected to the body via a large clip and requires some force to connect. Brilliant, it looks amasing and for such a big model it fits together really well. 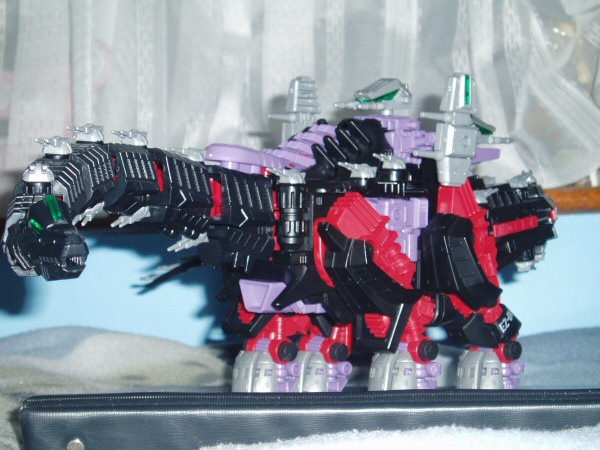 Lets just say take the Ultrasaurus and turn its height into length. None except the leg clicking. Mother Load of Guns 69 on my last count. 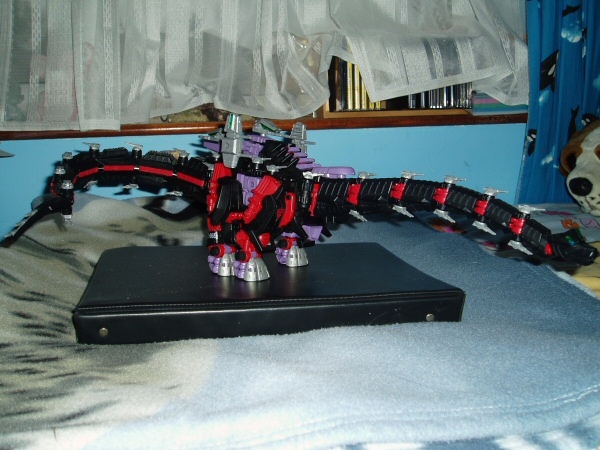 Well worth getting but not as a first Zoid. It is a challange to build and will take up to 3 hours straight.